Seoul: Korea Inc is going all out to try and protect its leading position in world shipbuilding. The public and private sectors are coming together to try and secure future ship types. The energy ministry has laid out plans for the nation’s shipbuilders to win 70% of all dual-fuelled ships by 2025, a market the ministry reckons will be worth $130bn in 10 years time. As part of its commitment to boost LNG as a ship fuel, Seoul has announced plans to build LNG bunkering terminals at its leading ports. Meanwhile, the nation’s biggest three shipbuilders, Hyundai Heavy Industries (HHI), Samsung Heavy Industries and Daewoo Shipbuilding & Marine Engineering have committed to provide publicised patents to their smaller local counterparts to help them build eco-friendly ships. Some 2,500 patents will be offered via a new innovation centre in Ulsan, the city where HHI is based. 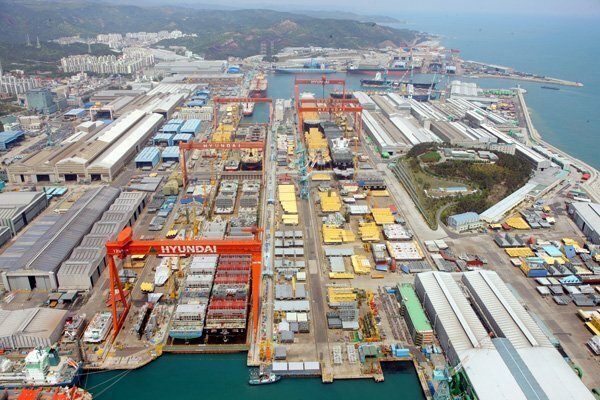 South Korea, which overtook Japan to become the leading shipbuilding nation in 2000, has since found its position eroded by cheaper neighbour, China and even Japan, where the weak yen and attractive financing have seen its yards make a comeback this year. Japanese new ship export orders in June increased by 217%.